Porter Wright is pleased to announce new leadership for the Firm’s Intellectual Property Practice. Intellectual property partner Holly D. Kozlowski has been appointed to chair the Firm’s IP Practice Group where she will focus on expanding the firm’s capabilities and serving clients in this well established and dynamic area of law. 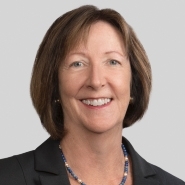 The leadership position was formerly held by Donna M. Ruscitti who will continue to oversee the growth of Porter Wright’s Technology, Privacy and Data Security Practice Group. Kozlowski brings more than 25 dedicated years of experience in intellectual property to her new role and will help lead a group of 15 lawyers providing a range of services including patents, trademarks, copyrights, advertising and unfair competition, contests and sweepstakes promotions, IP licensing, IP litigation, trade dress, and social media. A graduate of George Mason University School of Law, Kozlowski received her undergraduate degree in Chemical Engineering from Bucknell University. She has been designated as one of the Top 50 Women Lawyers in Ohio and one of the Top 100 Lawyers in Ohio for 2008 by Ohio Super Lawyers®. She also has been recognized as one of America’s Leading Lawyers by Chambers USA in the area of intellectual property law. 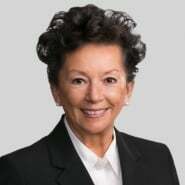 Kozlowski’s background combines an intellectual property and patent law practice with a technical background in organic and pharmaceutical chemistry, inorganic chemistry, polymer chemistry, biotechnology, and chemical engineering and processing—all of which has enabled her to build a strong legal practice in Ohio, throughout the United States and internationally. Focusing on all stages of patent application preparation and prosecution, including reissue, reexamination, interference and patent term extension, and on trademark and copyright protection, Kozlowski has extensive experience with international PCT and national foreign patent application filings and prosecution, including opposition proceedings around the world, and regularly provides client counseling on patent infringement, validity and freedom to practice issues. For over 30 years, Porter Wright’s IP team has worked with clients to strategically maximize the business value of their intellectual property assets. The Firm serves clients in every aspect of their intellectual property needs, both domestically and internationally, including portfolio development and enforcement, technology transfer and licensing, business counseling related to intellectual property matters, and intellectual property audits.